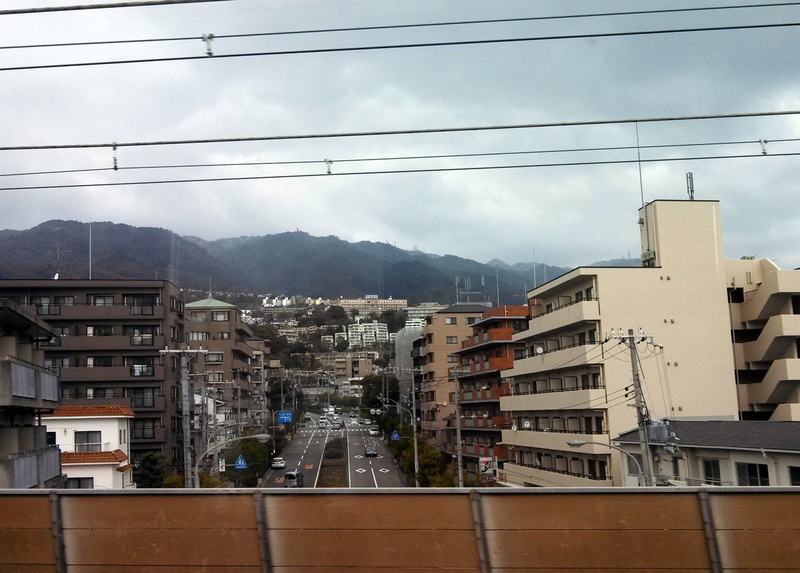 Alright, I’m just going to say it: most of the cities we visited in Japan were ugly. Sorry guys, but I feel an obligation to point this out. When I was doing research for this trip, I only ever came across scenes of serene temples and neon skyscrapers. But when I found myself finally in Japan, my truth was different. I found most of the buildings to be plain and utilitarian. And when you look at the history of Japan – that makes sense. The architecture that the country is really known for is made out of wood and paper. Wood and paper don’t stand up well to fires, earthquakes, and wars. So a lot of the idealistic Japan that westerners view through the lenses of blogs and magazines exist in only small pockets of protected or restored areas. Was this finding disappointing? Initially, yes. But as another writer visiting Japan put it in his blog, Japan is a really beautiful place once you get over how ugly it is. And even if it’s no longer the norm in most areas, I still found our visits to the more traditional streets of the country valuable. 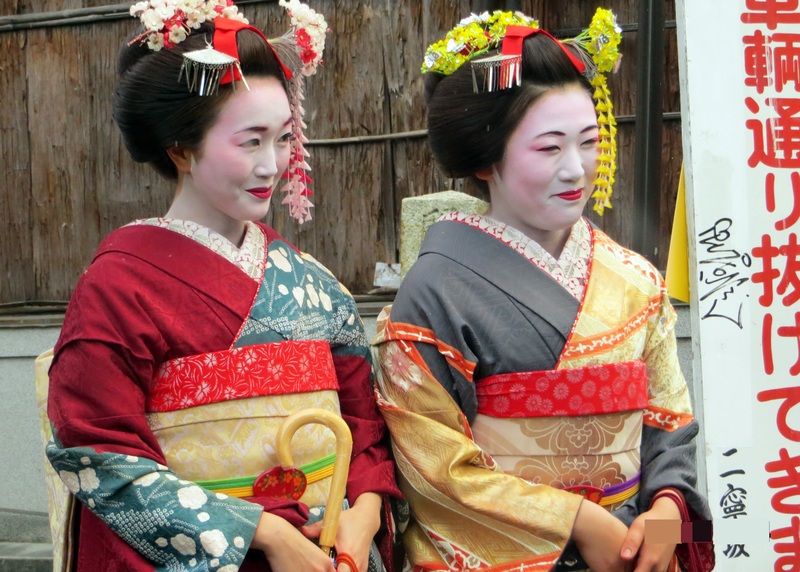 So while it may have been both idealistic and unrealistic to expect the thoroughfares of Kyoto would still be lined with Edo-era buildings – that was one of the images that drew me to the country to begin with, even if it was misguided. And there’s a reason that the trouble has been taken to preserve these areas – they are an important part of the country’s history. They are a glimpse into a life that, sure, may no longer widely exist; but these histories still played a part in shaping the country that survives today. And as a visitor from the west, walking through these small traditional areas provided a glimpse into a world that never existed on our side of the planet. So, without further ado, let me tell you about a few of the most photogenic streets in Japan’s cultural capitol, Kyoto. Chawan-zaka, or teapot lane, was one of our first ‘traditional’ experiences in Kyoto. 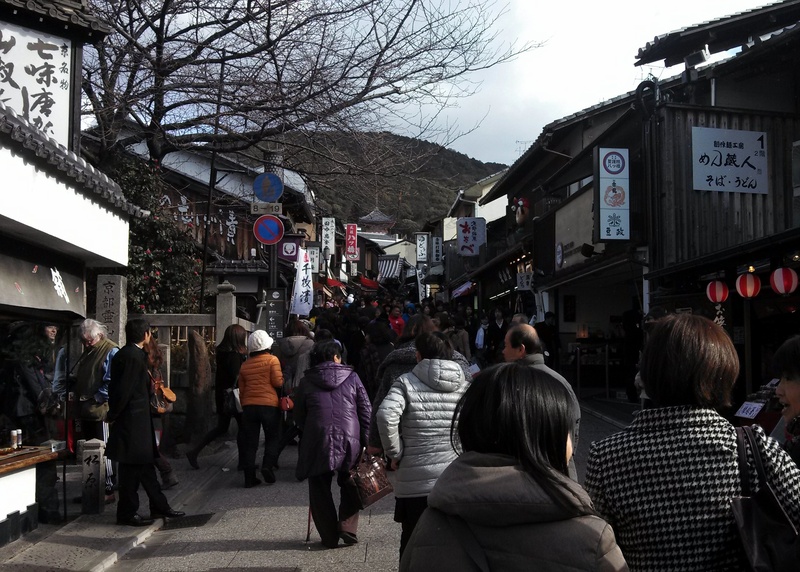 The street leads to one of my favorite temples – Kiyomizu-dera, and we only stumbled across it as a way to access those grounds. Teapot Lane gets its name from the number of ceramics stores that line the way, and we found it an excellent place to stop for lunch and some window shopping in-between temple touring. 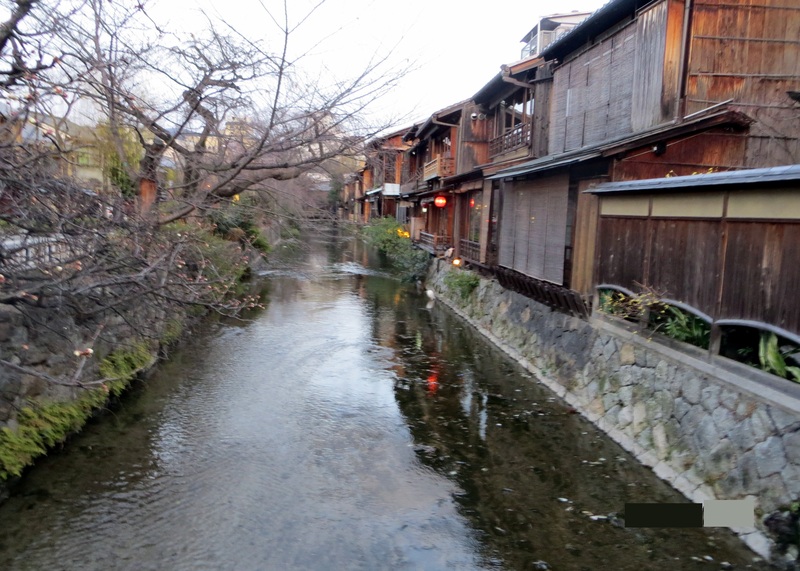 These restored streets are also very close to Kyomizu-dera, and totally delighted. It was here that we had our very first geisha sighting! This path through a meticulously maintained bamboo grove is so quintessentially Japanese that its photo embellished the cover of my guidebook. The way is stunning even on a grey day like the one on which we visited. 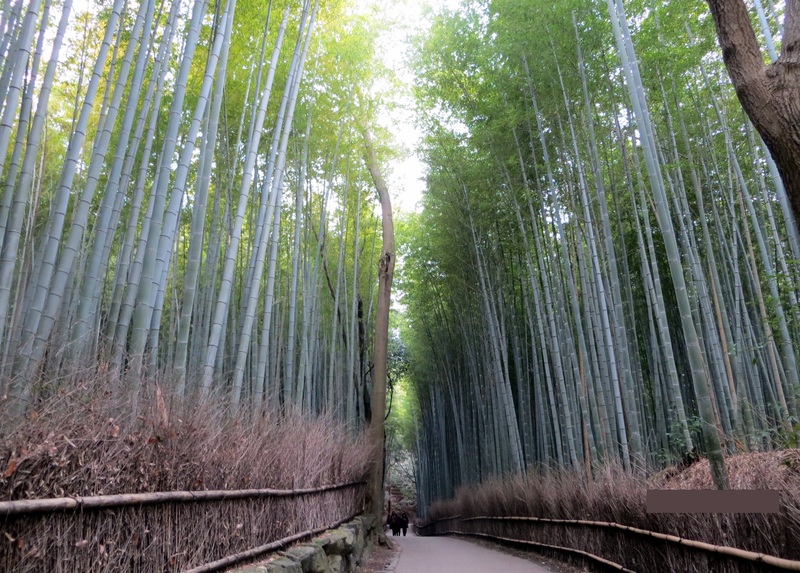 It also happens that the entrance to Okochi Sanso – my favorite garden of all we visited in Kyoto – is located just outside this bamboo forest. 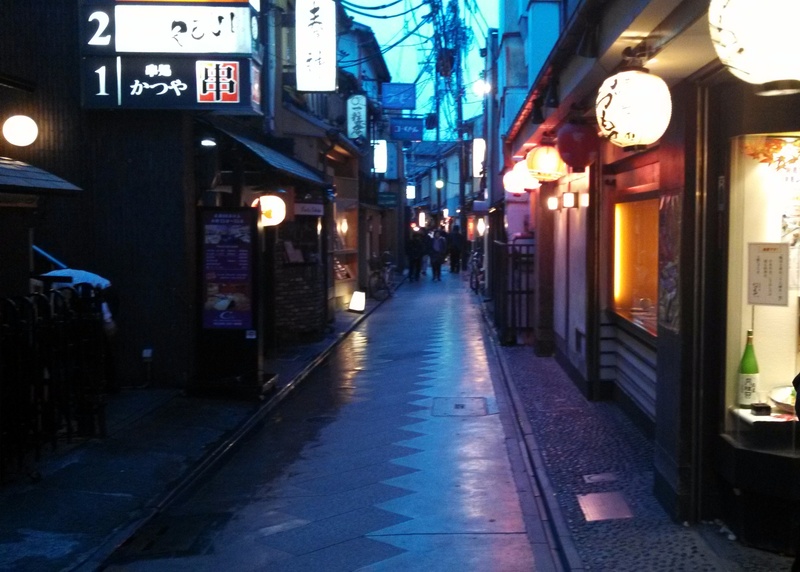 This narrow street is home to many restaurants, bars, traditional tea houses, and geisha houses. The low light of our evening tour, inadequately captured by my camera phone, made the walk down this traditional street near downtown Kyoto especially magical. Hailed by our guidebook as the most beautiful street in all of Japan, I found myself a little disappointed by just how small the area was. Easily walked in 5 minutes, it was still worth the trip. The canal was especially lovely and I can only imagine how beautiful the street might be when the cherry blossoms are blooming. Like any travel destination, heading someplace new with very high expectations will more often than not set you up for disappointment. 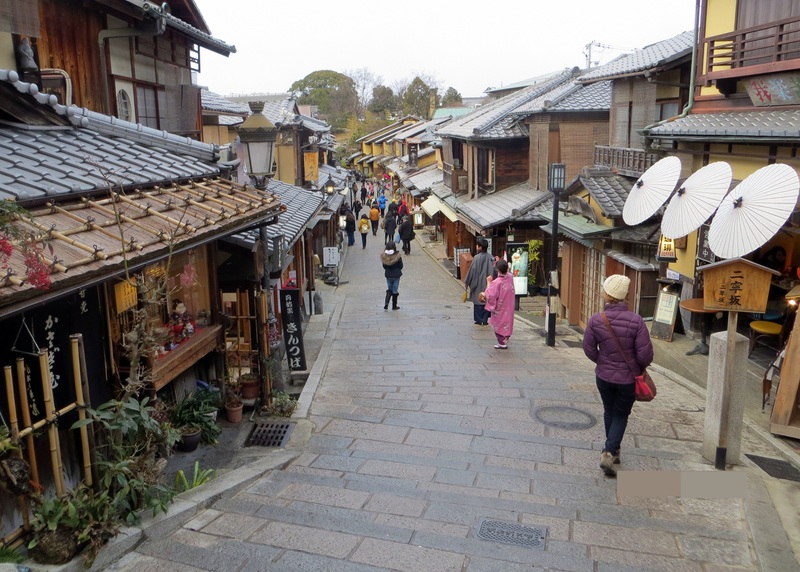 But while the traditional spots in Kyoto were not as easy to find as I expected, they were certainly worth the search.